Today, driving is quite a necessary thing in everyone’s life. The need for good drivers who can drive safely on the roads has become a must. There are certain qualities that make a driver good. He should be careful, have patience and responsible while been on the road. Driving carefully ensures that the roads will be safe. For making a person a confident and good driver driving schools were invented. Our experts at GP training institute are reliable and conduct the classes in the best possible manner. 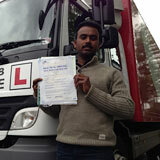 We have helped thousands of people to learn drive safely. Our trained professionals are experienced and provide the best learning courses in Queens Park, London. We teach the students to drive and understand the safety rules. We have a team of experts who can speak different languages like Hindi, Urdu, English, Punjabi, Kashmiri, etc. Large goods vehicle (LGV) Training also known as HGV training is the type of training methodically provided to the drivers who drives vehicles over 7.5 tones, including rigid trucks, articulated Lorries, tankers, transporters, and trailer wagons. Bus, Coach and Lorry drivers will be tested on 100 questions and need to correctly answer 85 of the 100 to pass the multiple choice part of the test. LGV/PCV learners can now take the multiple choice element separately from the hazard perception element; and in either order. This change aims to avoid potential recruits being put off entering the industry due to the length of the test as a single event. In the hazard perception test the questions are made up of 19 clips for the LGV/PCV test, the pass mark is 67 out of a possible 100. Passenger Carrying Vehicle (PCV) is defined as a motor vehicle designed specifically for the conveyance of the people, where the vehicle’s weight does not exceed 4500 kg. Certificate of Professional Competence (CPC) is a legal requirement that is held by a person for heavy commercial vehicle driving like for road haulage operators. The reason for its strictness is that only a skilled driver can drive such vehicles. One must clear the theory and practical tests. It is required to be renewed every five years. We explain the upcoming drivers the different rules to drive safely on road. C1-License is the license that permits the holder to be given the implied entitlements of vehicle category C1 which are medium sized vehicle that weighs between 3500kg and 7500kg like horseboxes, ambulances, delivery vehicles etc. C1-E 7.5Training trains the driver to drive vehicles weighing more than 750kg towing a trailer but the trailer should not be exceeding the weight of the vehicle. 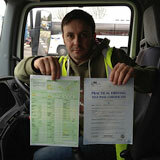 One must be 18 years and already has the LGV license in order to drive any lorry weighing up to 32 tones. C+E Truck and Trailer refers to the truck and trailer combination that can be used as Articulated or Drawbar combinations with 42 tones of trailers. 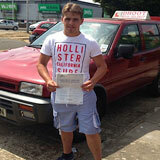 Pass Protection is a process of protecting ones success with the driving tests and license acquisition. It is a formal assurance provided by the trainers to the trainees that they will be taught each and everything required to clear the tests for getting a license. 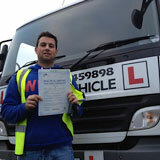 D1 Minibus driver training is the training being provided to the trainee to learn drive the minibus. D1+E and Trailer refers to the combinations of vehicles which includes a minibus which is constructed to contain 21 people combined with a trailer up to weight of 750 kg provided that the MAM of the combination thus formed does not exceed 12,000 kg. D Automatic Bus is a driving that teaches the driver to drive an automatic bus. D Manual coaches are the heavy loaded vehicles. In order to drive such vehicles a skilled driver is needed but such driving can only be achieved after receiving right type of training. Testing the ability of driving of a person on this basis is considered to be the best one. D+E Manual Coach and trailer license is a license that allows a driver to drive a passenger accommodation for more than 8 people in addition with the driver. 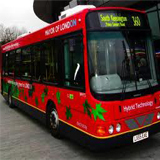 PCV Pass Protection refers to the method through which a trainee is guaranteed the success of the PCV Driving Acquisition Test entitling him to the refund of the money or retests in case he fails. 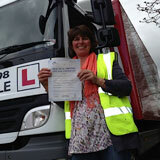 CPC Driver Training is the training provided to all drivers who wants to drive the Large Goods Vehicles on road. It is a periodic training done every 5 years for 35 hours for a legal sustaining license. CPC Theory Test or Certificate of Professional Competence is a written examination test conducted to test the knowledge of the aspiring drivers. Fifty questions are asked in main exam for this proficiency test. Questions will be based on several rules of driving. After following the above mentioned steps and completing them one can acquire a government issued legal license. 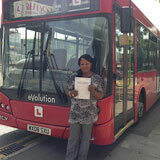 Passing the exams to obtain a driving license is not quite easy. Therefore, you should immediately register yourself at GP Training that will become your true guide and companion and will be by your side. 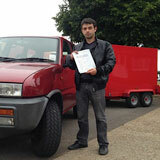 Get your B+E car and trailer training and clear in first attempt with us. You can fulfill your dream by joining our classes. Have a safe drive!